Feb 06, 2017: What accessories are you buying for your nintendo switch that others might: not know about/want? Apr 27, 2017: Power bank users: please comment with what model you have tried and whether it is working well with your Switch or not! Jul 18, 2017: Lost the charge cable to my S8+... what length cable does it ship with? Also, what cable brand should I replace it with? Oct 22, 2017: Using a usb-c to usb-a cable, not charging my Pixel 2 XL. 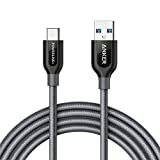 Jun 29, 2018: Are there such thing as "quality" USB-C cable? Nov 08, 2018: MXP longer and better charging cable recommendations? Feb 10, 2019: Crack in my official LG V30 charge cable after 13 month. Mar 25, 2019: Working USB Extension Cable?